Artur Celmer has argued that he will not get a fair trial in his own country. A LANDMARK CASE involving the potential extradition Polish man is back before the High Court. In March the High Court ruled that Artur Celmer could not be extradited due to not being able to get a fair trial in his own country. The 31-year-old Polish national, who has been living in Ireland for 10 years, is sought by Polish authorities over alleged drug trafficking offences dating back to 2007. In 2017, the 31-year-old Polish national was arrested and jailed in Dublin pending an extradition request by Poland via a European arrest warrant. He is wanted by Polish authorities in relation to alleged drugs trafficking offences dating back to 2007. The European Court of Justice in July sided with the decision made by Justice Aileen Donnelly. The Irish Human Rights and Equality Commission IHREC) yesterday appeared before the High Court as an amicus curiae (‘friend of the court’). The IHREC has sought to assist the court by drawing on international and domestic practices to examine how the court can weigh and assess the evidence in light of the important human rights issues identified in the case. In 2017, Poland passed a series of laws which saw the country’s government grant the power, amongst other things, to replace its supreme court judges at will. The ruling was ostensibly invoked in order to allow an overhaul of the country’s judiciary, which the ruling PiS party claimed was necessary in order to heighten the legal system’s effectiveness and weed out appointees who were hangovers from Poland’s communist past. Celmer, a Polish national, has argued that these legislative changes affect the independence of the judiciary and undermine the possibility of him receiving a fair trial. The High Court has been advised by the European Court of Justice that it must make a specific and precise assessment on whether there is a real risk that Celmer’s fair trial rights will be breached. 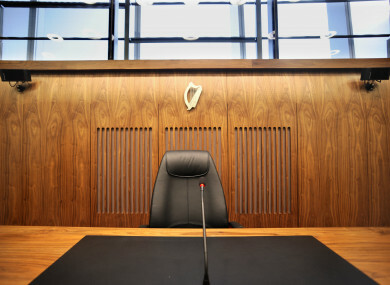 In its written assistance to the Court, the IHREC highlights international and Irish case law and states: “There is no doubt that European Arrest Warrant proceedings, being linked to the criminal justice system of another State and involving immediate restrictions on liberty and potentially grave consequences in the long term, present a distinct and special situation as regards the assessment of evidence. Email “Landmark case involving extradition of Polish man back before High Court ”. Feedback on “Landmark case involving extradition of Polish man back before High Court ”.